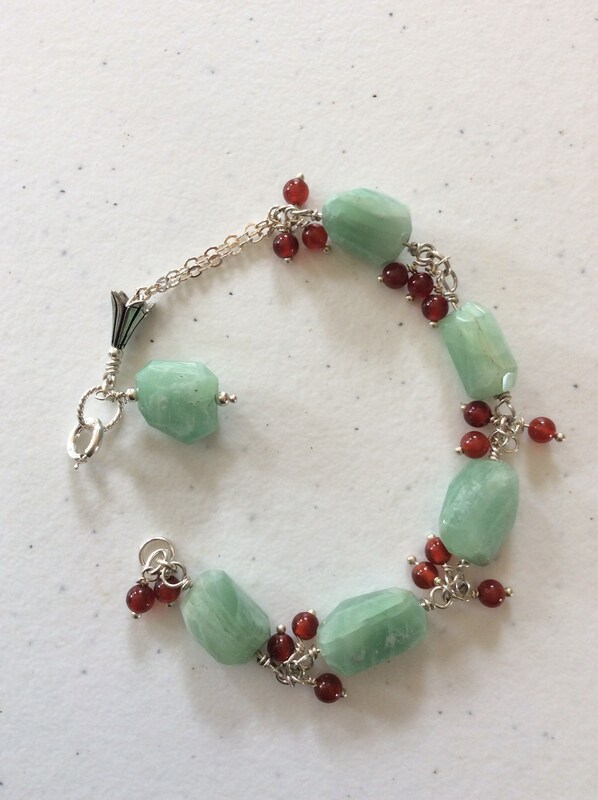 Green onyx and red agate sterling chain bracelet. 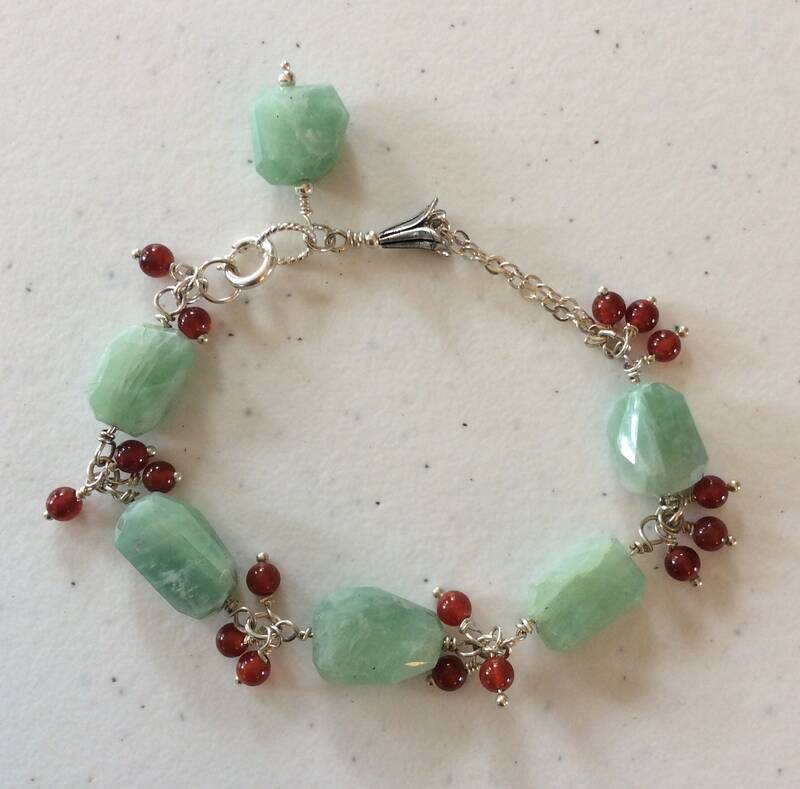 This lovely eye-catching piece is completely hand created and crafted. 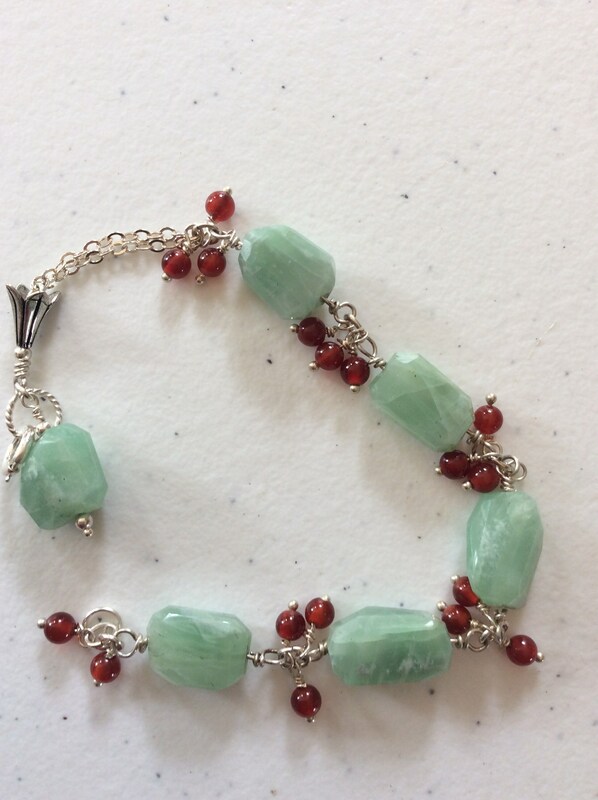 I’ve used six AA grade green onyx nuggets using sterling silver throughout. To add interest, I’ve added 17 red agates to hang as dangles. 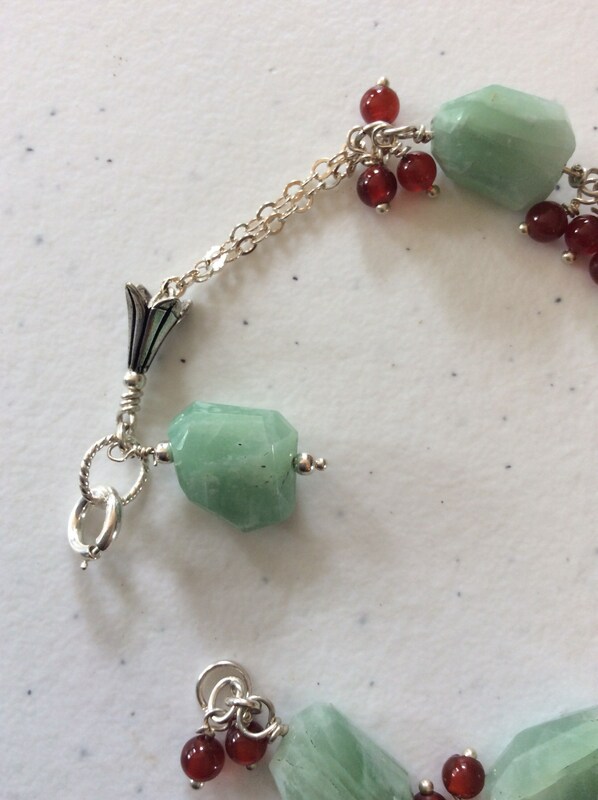 The clasp is a sterling spring type, making it easier to place on your own wrist. 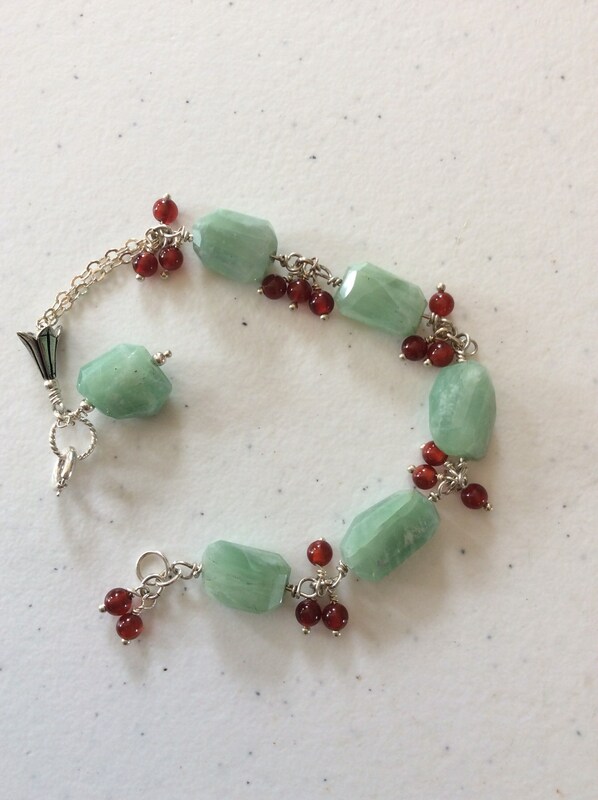 I’ve included a green nix dangle near the clasp! All of my jewelry pieces ship for free in the continental U.S. in a shiny black gift box with a gold elastic band and bow. If you would rather your beautiful gift shipped to another address, just put that information in the conversation section of your order. I can include your heartfelt message on a gift card if you’d like! Another amenity I offer is free repairs for the life of your bracelet! That’s how confident I am in my workmanship! You will only be responsible for shipping costs. Damage due to “horse play”, exposure to water, including ocean and chlorine, general neglect, I can not be responsible for. I may be able to repair it for a charge. I’ll decide on a case by case basis. Convo me with any questions you have! Thanks for visiting my online Etsy Store!